Comprised of Croatian cellists Luka Sulic and Stjepan Hauser, 2Cellos was discovered by the folks at Sony Masterworks after the musicians uploaded their cover of Michael Jackson's "Smooth Criminal" in 2011. The duo's self-titled debut album was released the same year and hit the top spot of the U.S. Billboard Top Classical Albums chart. On Jan. 22, 2Cellos will release In2ition, their sophomore full-length. Produced by Bob Ezrin (KISS, Pink Floyd), the album features guest artists like Elton John, classical superstar Lang Lang, pop artist Sky Ferreira and guitar icon Steve Vai. In this Noisecreep exclusive, we're bringing you the video premiere of "Highway to Hell," 2Cellos blazing collaboration with Steve Vai. 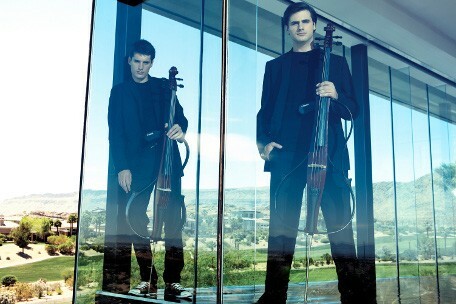 2Cellos' new album, In2ition, will hit stores on Jan. 22 via Sony Masterworks. Pre-order the album on iTunes and Amazon today!